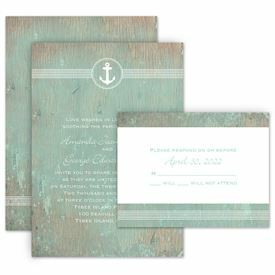 Set sail for destination wedding invitations! If you're planning a getaway trip for your nuptials then you might be planning to invite a few honored guests or you may be all-in with a huge guest list! 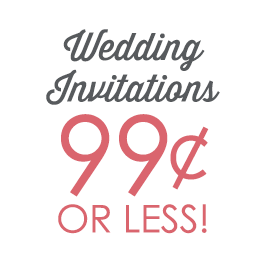 Either way, send destination wedding invites that will immediately set the tone for your bright, sunshine-filled day. Find lovely, colorful destination wedding invitations with anchors, palm trees, airplanes and more to help emphasize your exciting travel plans. 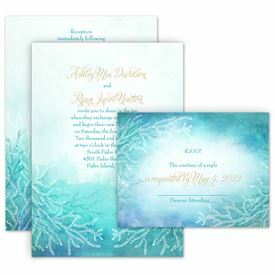 Even if you aren't headed somewhere tropical, we've got the destination wedding invites that will perfectly express your intentions and give guests a heads-up about where you've chosen to get married.